Hot from the block: This certificate proves that I know a little bit about wine and spirits. I found I had to study a bit more in order to be able to serve our guests at Haagsche Suites better. It also goes together with my aim to cover the categories “Food”, “Wine” and “Wining and Dining” more seriously here, rather than setting up a separate blog. I found that it the Wset course is a decent course. It was given by a very enthusiast couple, HenriÃ«tte Bastiaans and Jeroen Bronkhorst of Wijn studio NL who used to run a restaurant around the corner and who gave the course in a wine shop, Haags Wijnhuis, also around another corner here. So it was very practical: after the courses and wine tasting I could easily crawl back home. 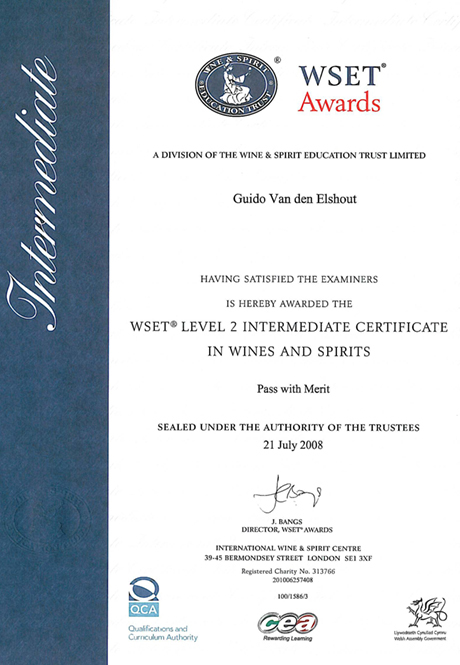 Wset stands for Wine and Spirit Education Trust Limited. The Wine & Spirit Education Trust (WSET) was founded in 1969 to provide high quality education and training in wines and spirits. Since then, WSET has grown into the foremost international body in the field of wines and spirits education, with a suite of sought-after qualifications. We now even have a membership body – the Institute of Wines & Spirits – for those who have passed the WSET Diploma, our top qualification. This qualification offers broad coverage of all product categories in the field of alcoholic drinks together with basic wine tasting technique. This qualification is accredited at Level 2 in the UK National Qualifications Framework. It is also approved as a Technical Certificate for the Advanced Level Hospitality Modern Apprenticeship. Provide vocational training in the broad range of alcoholic beverages to underpin job skills and competencies in the customer service and sales functions of the hospitality, retail and wholesale industries. â€¢ People employed in the drinks and hospitality industries with little previous knowledge of alcoholic beverages. â€¢ Wine enthusiasts who wish to acquire in-depth knowledge of wines and spirits and want to obtain an internationally recognised wine qualification. You must successfully complete a multiple choice paper of 50 questions. 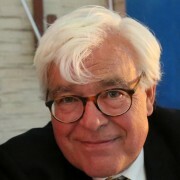 Heading for the Advanced Course by Frank Smulders (site is currently and I hope temporarily not working). Wanna Sleep in a Hotel Diaper?